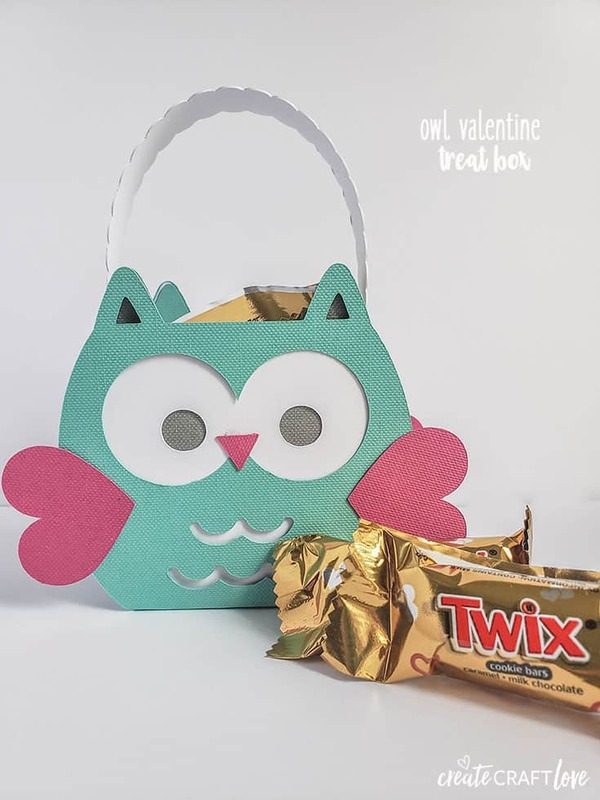 Fill this cute Owl Valentine Treat Box from Cricut with your favorite candy for classroom parties this Valentine’s Day! The Cricut Scoring Wheel makes this project a breeze! (The scoring stylus will work too if you have the Explore line of machines.) 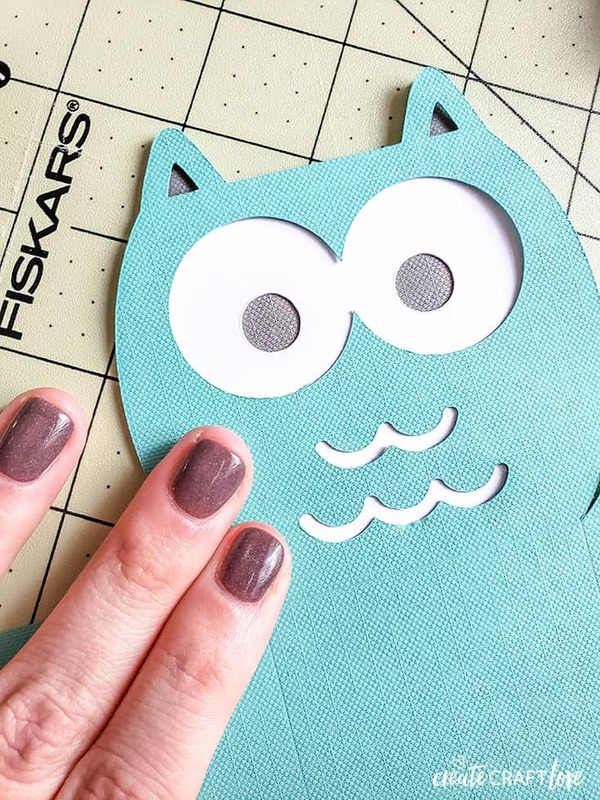 Notice how my owl is my blog colors?! Click HERE for the link for the Make it Now Project! The score lines are flawless! It creates a seamless fold every time. To learn more about the scoring wheel, click HERE! 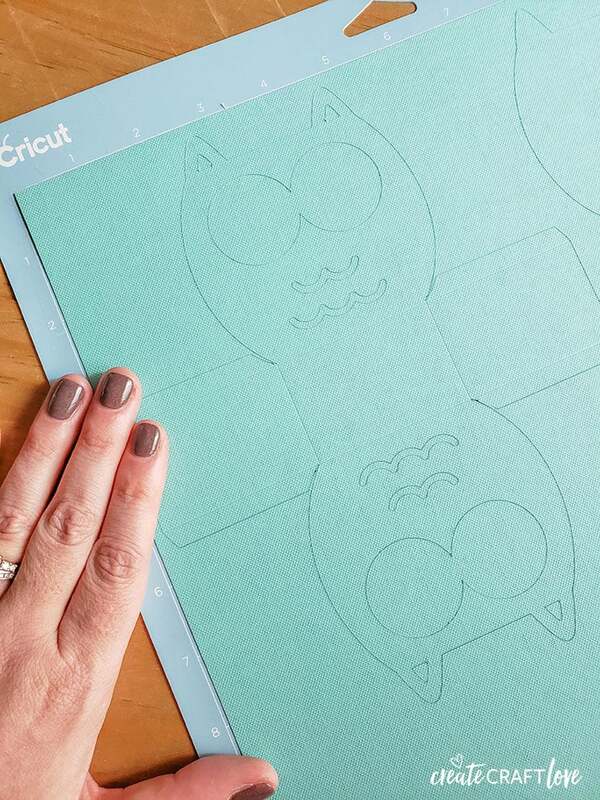 Once all of your pieces have been cut, set out so you can see them. I will walk you through the assembly. Begin by hot gluing the gray and white piece together. There is another aqua piece (not pictured above). Glue this to the back of the gray piece. They should create an owl head sandwich. The bottom layer is the aqua, followed by the gray layer and finally the white layer. 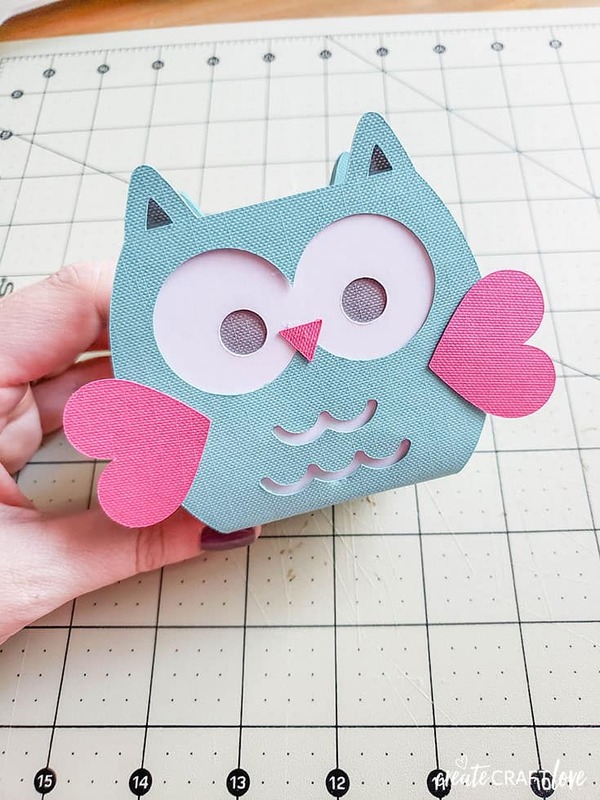 Fold the owl box along the creases but do not glue together yet. 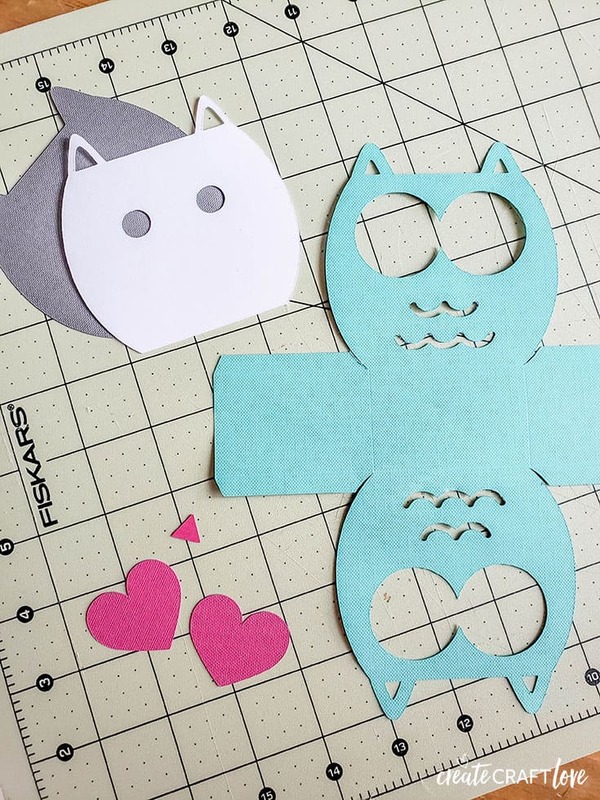 Take your owl head sandwich and glue with the white layer up to the inside of the box. Repeat with the back. Add the beak and the wings to the front and back of the box. Now glue the box into it’s shape. Finally add the basket handle and your favorite candy!